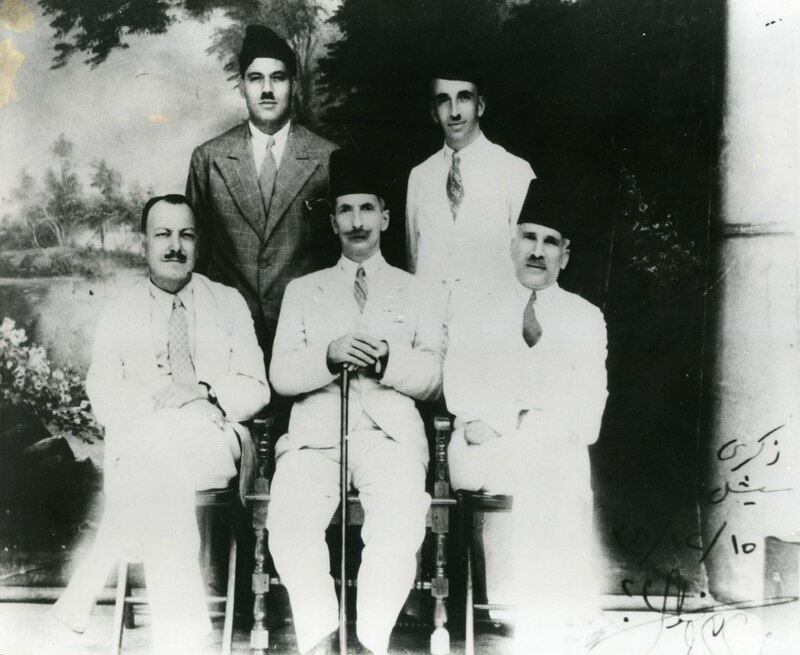 In September 1937, the British outlawed the Arab Higher Committee (Lajna) and exiled four of its members, Dr. Hussein Khalidi and Ahmad Hilmi Pasha Abd al-Baqi (seated first and second left) and Ya'qub Ghussein and Fuad Saba (back row), to the Seychelles Islands in the Indian Ocean, where they are pictured here. The chairman, Haj Amin al-Husseini, and others escaped arrest and took refuge in neighboring Arab countries. Exiled with the Seychelles inmates was Rashid al-Haj Ibrahim (seated first right), member of the Independence Party (Istiqlal) from Haifa. This was part of a larger campaign to dissolve all political or semipolitical Palestinian organizations and associations, and to arrest their leaders.